The My Little Pony friends are ready for the best night ever! Rarity represents the element of generosity! She can’t wait to go to the Grand Galloping Gala in the glamorous city of Canterlot! Inspired by the My Little Pony Friendship is Magic television series, this translucent on-the-go purse with handle matches Rarity pony’s fancy style. 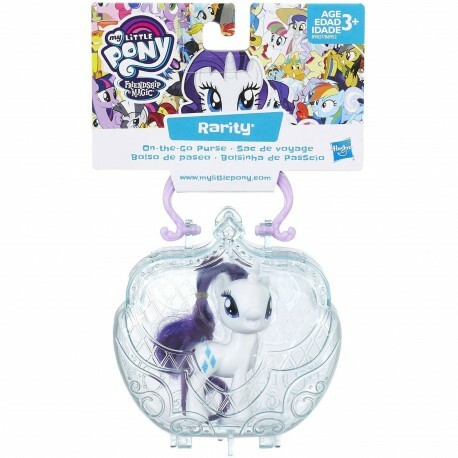 This set includes a 3-inch Rarity pony figure that fits inside the purse. Take this pony and purse along and imagine going to the gala, too!